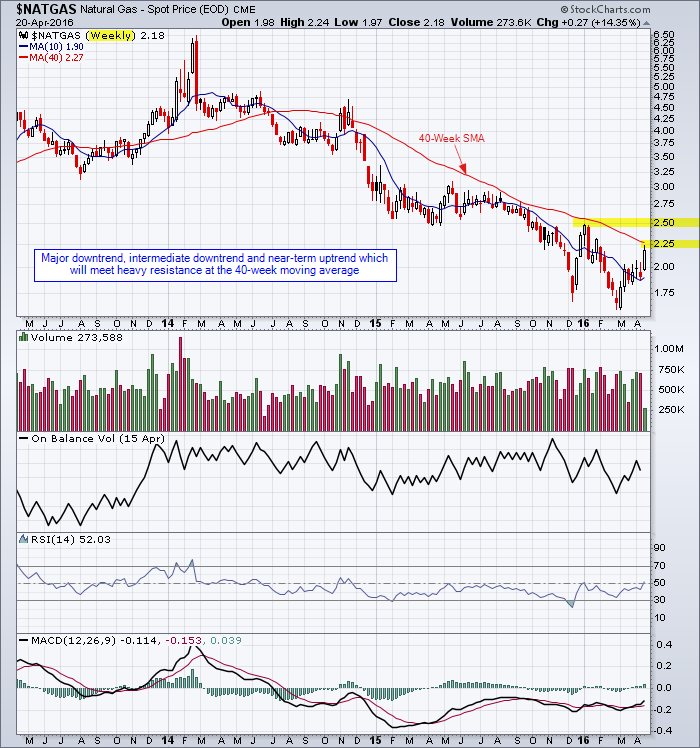 Major downtrend and intermediate downtrend for natural gas. Near-term uptrend will meet heavy resistance at the 40-week moving average. A break above this average would indicate a test at $2.50. Natural gas has a long way to go before it is out of the woods. This entry was posted in Stocks and tagged candlestick chart, moving average, Natural Gas, resistance, trend on April 20, 2016 by Trader.